Everybody has gone a little cupcake crazy as of late. There is just something about deciding on which delicate little morsel you are craving then demolishing it in two bites. Yum. Perth’s latest cupcake queen Ally Skala of Mad Batter Cupcakes manages to juggle pursuing a law career with baking decadent treats, but funnily enough she finds the baking relaxing. Her new business boasts fresh, homemade cakes and cupcakes. Although Ally’s family and friends had been suggesting she start her own home baking business for the longest time, it wasn’t until she catered a friends engagement party and realised how much people love her desserts. So much so they were willing to pay money for them! “I love being able to create cakes that make people happy and put a smile on their face when they take that first bite”, she says. Most men would leave a woman to their baking, but Ally’s fiancé Mitch has been a huge help with starting her business. “He’s done a lot of the work for me; from helping with price lists, to the logo and any book keeping and admin. I’m sticking to the baking”. He also helped come up with the brilliant business name. Whilst googling for inspiration one afternoon they stumbled across Mad Batter and fell in love. “We were trying to come up with something that would catch people’s attention and be memorable, without being cheesy. The fact that I love everything Disney helped seal the deal”. Ally admits as much as she loves baking, she surprisingly doesn’t have much of a sweet tooth. “If I do have a sweet treat though I can’t go past indulging in either a slice of black forrest cake or a custard tart”. As someone who has had the privilege of sampling Ally’s delightful desserts, I’m a convert. I can’t go past the Lemon Meringue Cupcake. Filled with lemon curd and topped with meringue, the cupcake has the perfect balance of zest and sweetness. Ally’s Tiramisu is also a winner. Rich and silky with that real coffee flavour. I really don’t think I can choose a favourite! What I can tell you though is you can see and taste how much love and passion goes into every single bake. Throw in competitive prices and delivery options and you’re good to go. For a full “menu” and how to order these brilliant morsels you can find Mad Batter Cupcakes on Facebook. Until then, control your drooling. 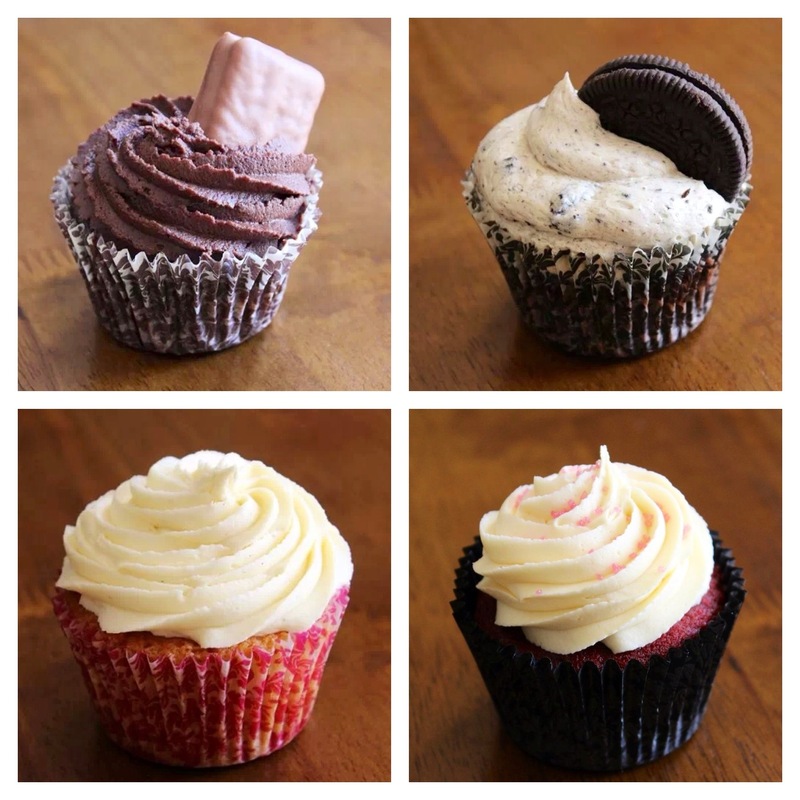 Which cupcake flavour are you craving? The lemon curd one sounds delicious.